Mamamia! That's Me!!!! | Life Love and Hiccups: Mamamia! That's Me!!!! 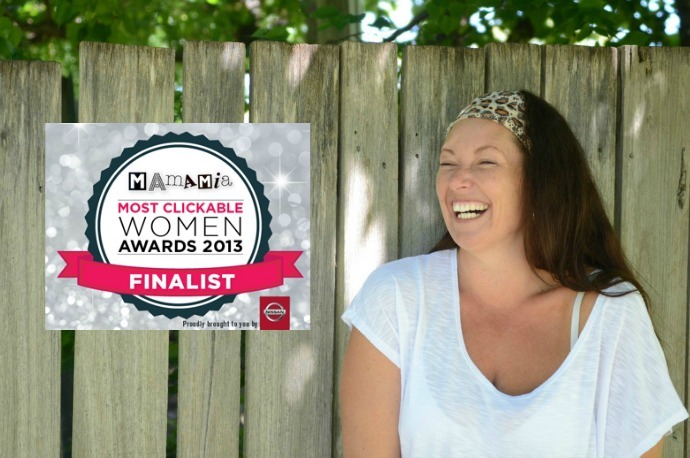 Pin It So you may have heard me squealing a few weeks ago when I found out I had been included alongside some incredible woman I heart in the Mamamia Clickable Womens Awards 2013. My interview is up today if you would like to check it out, and whilst you are there check out the other amazing woman I am pinching myself that I have been listed with. Voting starts July 29th and I have the chance to win some moolah to make those dreams of mine hopefully become a reality. You can also sign up to get an email to remind you when voting starts, you know, just in case you would like to throw a little support this way.